1952 - Co-author of Historic Sandridge, which included a chapter on Thrale family history. 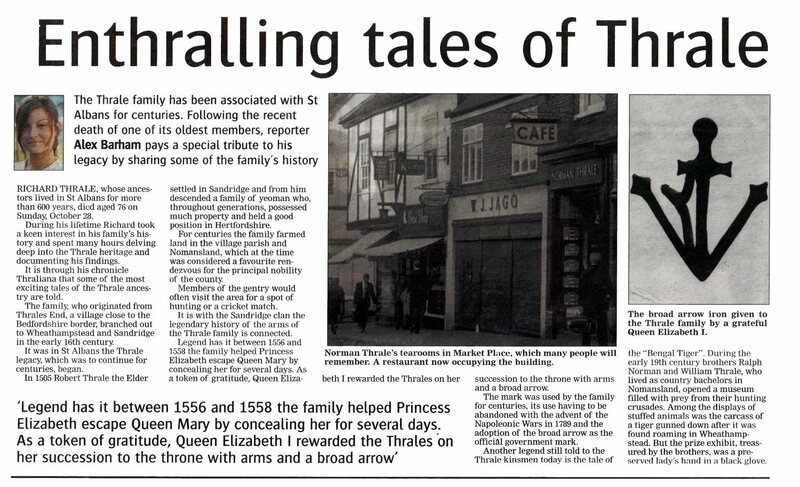 1973 - Richard's first solo book A New Thraliana about Thrale family history. 2005 - Richard's final book A Newer Thraliana. Richard bought, saved from demolition and refurbished Sandridgebury. Richard died aged 76 on 28 October 2007. Two obituaries were published. The first obituary was in the Herts Advertiser on 8 November 2007. 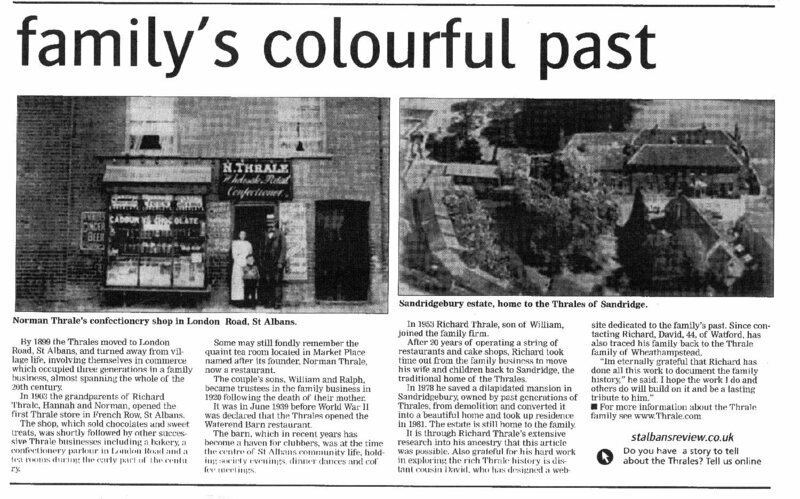 The second obituary, which was more of an article on Thrale history, was published in the St Albans and Harpenden Review on 28 November 2007. Family tree for Richard William Thrale.